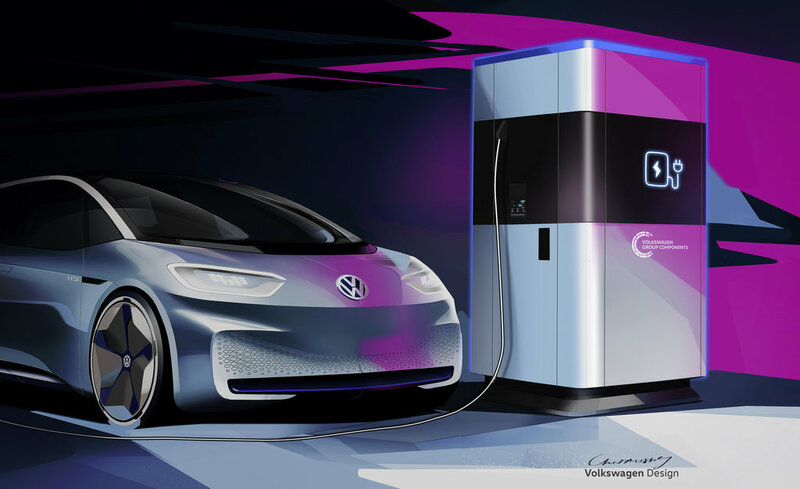 Wolfsburg, Germany - February 08, 2019 - Volkswagen is driving e-mobility forward with a consistency and commitment unlike that of virtually any other automaker. By 2025, the Group plans to build and sell up to 3 million all-electric cars per year - depending on market developments. By then, there are to be over 80 new electric Group models, including 50 purely electric-powered vehicles. Dr. Herbert Diess, CEO Volkswagen Group. Volkswagen is driving e-mobility forward with a consistency and commitment unlike that of virtually any other automaker. By 2025, the Group plans to build and sell up to 3 million all-electric cars per year – depending on market developments. By then, there are to be over 80 new electric Group models, including 50 purely electric-powered vehicles. 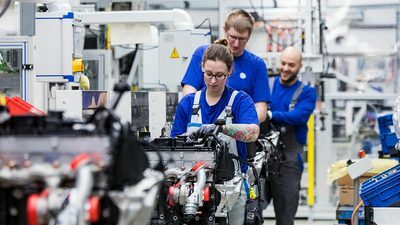 For its electric offensive, the Volkswagen Group is investing heavily in the mobility of the future: over €34 billion have been budgeted up to the end of 2022 for e-mobility, autonomous driving, digital connectivity and new mobility services. The joint ventures in China will be spending a further €15 billion on the electric offensive over the coming years. - Herbert Diess, CEO Volkswagen Group. 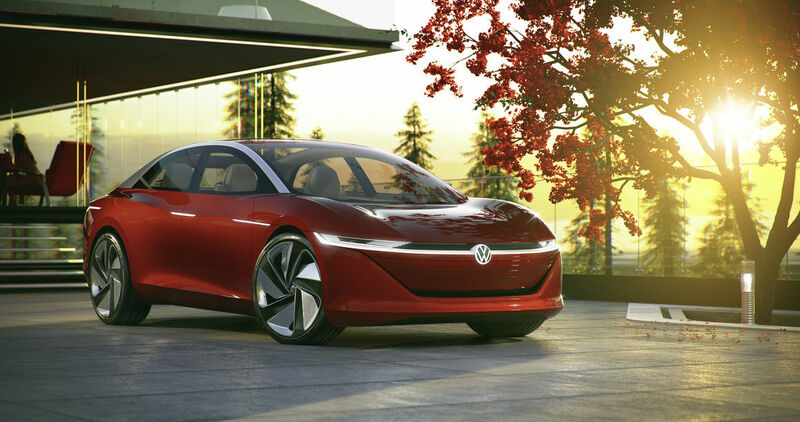 The Volkswagen brand in particular will be putting attractive models at affordable prices on the road, paving the way for the breakthrough of electric vehicles worldwide. The electric strategy is based on the modular electric drive matrix (MEB), a technology platform developed specifically for electric vehicles. Production of the Volkswagen I.D., the world’s first series vehicle based on the MEB, will begin in Zwickau at the end of 2019. September 2018 saw the dawning of a new era at Audi, too, when the carmaker unveiled the e-tron, its first electric series-produced vehicle. The e-tron offers Audi fans and customers a combination of driving pleasure and everyday usability. The Audi e-tron combines the practical requirements for an automobile with the comfort of the full-size class and the efficiency of an electric drive system. 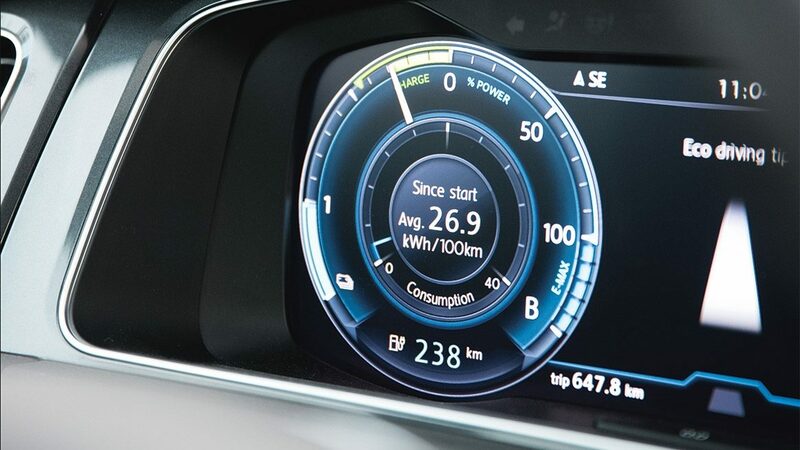 From navigation to automated billing at the charging station to remote control via smartphone, the Audi e-tron is well connected. E-mobility plays a key role for the Volkswagen brand. Our stated goal is to make fully-connected electric cars accessible to as many people as possible, thus paving the way for the breakthrough of this technology. We are currently developing a completely new generation of vehicles: the models in the ID. family have been designed exclusively as full battery-electric cars. Volkswagen's all-electric I.D. 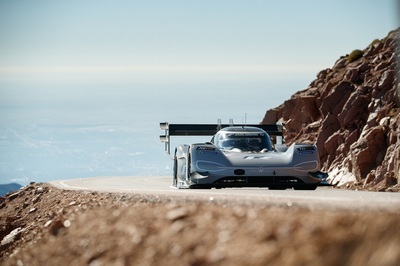 R race car sets a new standard at the world's highest road race at the 2018 Pikes Peak International Hill Climb. 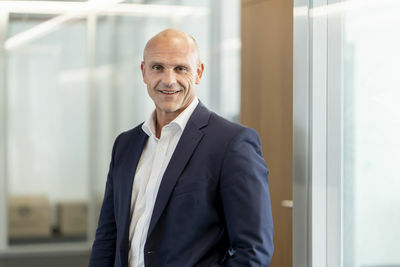 Romain Dumas (F), Volkswagen I.D. R Pikes Peak. They maximize the possibilities of this technology, and will also be very competitively priced, i.e. prices will be similar to those of comparable diesel cars. With the ID., the ID. CROZZ, the ID. BUZZ and the ID. VIZZION, Volkswagen has already presented four concepts that will hit the market from 2020. Moreover, the automotive future is a top-level issue at Volkswagen: at the beginning of 2018, the brand created a separate Board of Management division for e-mobility headed by Thomas Ulbrich. The electric car will become VW’s new brand icon. The self driving I.D. VIZZION transposes the design DNA of the I.D. models to the world of the luxury limousine. Interaction with the study car is on a virtual level via voice commands and augmented reality (AR). This is a Volkswagen for tomorrow’s world that opens up a gateway to the future and provides greater freedom for the guests on board. Because this car needs no driver and is itself a chauffeur. Because it is so comprehensively networked as to be part of the digital world. While augmented reality operation is a feature for 2030, fully automated driving is already conceivable by 2025. The design and the electric four-wheel-drive powertrain with a system power output of 225 kW (range up to 665 km) point the way to the near future. The I.D. CROZZ is a zero-emission SUV with an electric 4MOTION four-wheel-drive powertrain that is just as convincing in the urban jungle as on unpaved tracks or under poor weather conditions. The SUV, with a top speed of 180 km/h and a power output of 225 kW, can travel up to 500 km (NEDC) with one battery charge. The first version of the study was presented in Shanghai in April 2017, followed by the I.D. CROZZ II at the Frankfurt International Motor Show in September 2017. The modified design and a newly configured interior underline the SUV character of the study car even more strongly. The production version of the I.D. CROZZ is to be launched in 2020. The I.D. 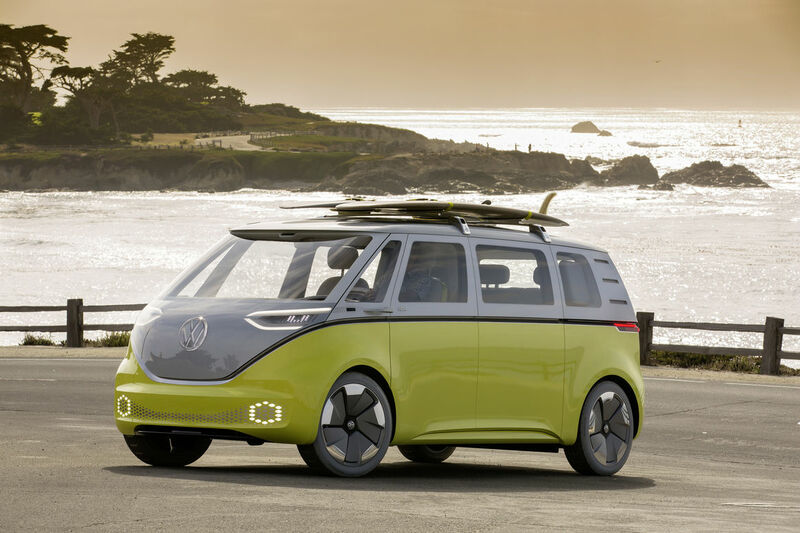 BUZZ is a Volkswagen van of the next generation. It transfers the feeling of freedom given by the legendary Microbus to the next era of mobility. 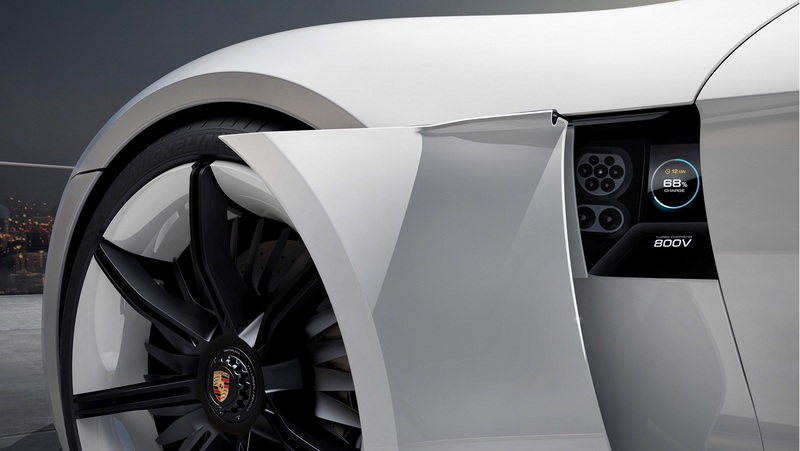 In technical terms, the study, with a power output of 275 kW, is based on the All-New Electric Architecture. Its electric range is up to 600 km (NEDC). The four-wheel-drive I.D. BUZZ can be charged either inductively or via a charging station. Volkswagen Showcar ID. BUZZ, Pebble Beach. The Volkswagen is also the world’s first versatile electric van with a fully automated driving mode. Like all I.D. models, the I.D. 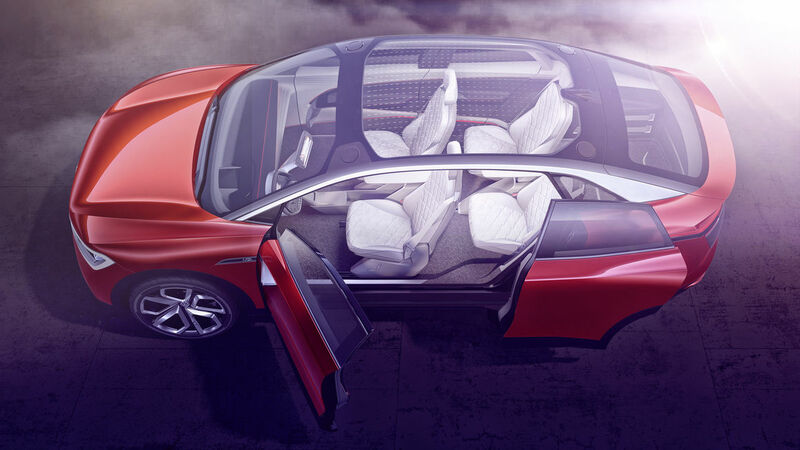 BUZZ , with its open space – the interior of the future – ensures better space utilization than all current vehicles. The production version of the I.D. BUZZ , which is almost five meters long, is due to be launched in 2022. Volkswagen started the countdown to the future with the world premiere of its visionary I.D. study at the Paris Motor Show in 2016. The compact 125 kW I.D. 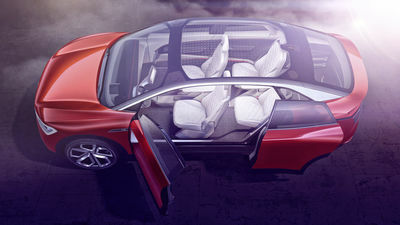 is a highly automated electric car based on Volkswagen’s ground-breaking All-New Electric Architecture. With one battery charge, the I.D. can cover distances between 400 and 600 kilometers. The first Volkswagen on the all-new electric-vehicle platform. The first Volkswagen prepared for automated driving. The production version is to be launched in 2020 at the price level of a Golf with comparable power output and equipment. 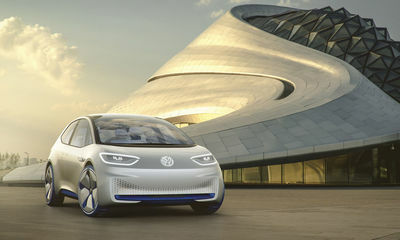 However, Volkswagen is looking much further into the future with the study. In the I.D. Pilot mode, the electric car allows fully automated driving. This technology is to be ready for series production by 2025. About one year before the start of production of the fully electric ID., Volkswagen has announced further details of its electric offensive. Throughout the Group, up to 15 million vehicles based on the Modular Electric Toolkit (MEB) are to be built in the first wave, compared with 10 million vehicles according to previous plans. Up to 2023, the brand will be investing more than €11 billion in e-mobility, digitalization, autonomous driving and new mobility services, including more than €9 billion in the ID. family. The electric offensive was also a topic at the MEB Supplier Event. Dr. Herbert Diess, CEO Volkswagen Group, Ralf Brandstätter, COO and Board Member Procurement Volkswagen brand, and Thomas Ulbrich, Board Member E-Mobility Volkswagen brand, together with CEOs of top suppliers of the Volkswagen ID. Yesterday, more than 30 CEOs from the key component suppliers came to Wolfsburg to usher in the hot phase of preparations for the ID. together with Dr. Herbert Diess, CEO of the Volkswagen Group, and members of the Volkswagen brand Board of Management. “The Volkswagen brand is consistently forging ahead with its electric offensive. This also includes cooperating with strong partners. The new Volkswagen ID. 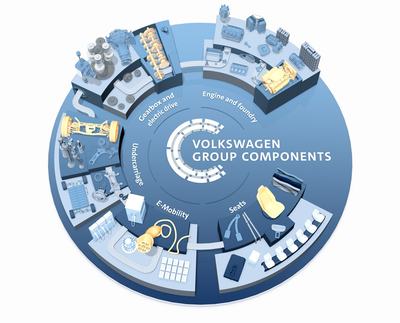 will feature the technologies and ideas of the most innovative companies in our industry,” said Ralf Brandstätter, Chief Operating Officer and member of the Board of Management of the Volkswagen brand responsible for Procurement. Production of the ID. is to start at the end of 2019 at the Zwickau plant. “We are now entering the decisive phase. In about 12 months, the new ID. will usher in a new era for Volkswagen, comparable with the first Beetle or the first Golf. 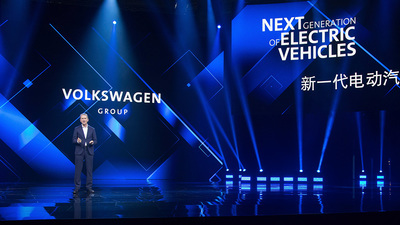 We are preparing for this event extremely carefully together with our partners,” said Thomas Ulbrich, Member of the Board of Management of the Volkswagen brand responsible for E-Mobility. 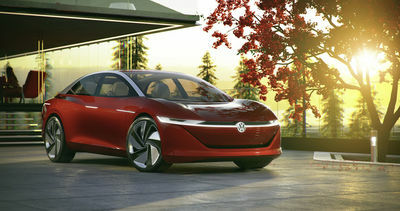 With the fully electric, fully connected ID., Volkswagen will be bringing onto the roads a new generation of vehicles that will set new standards for digitalization and connectivity. The ID. will always be online and connected to the Internet via an Automotive Cloud. Updates and upgrades will continuously make the car better. Against this backdrop, Volkswagen is stepping up its cooperation with software companies and developers. One of these companies is Elektrobit (EB) from Erlangen. “The example of the ID. shows that software is essential for the car of the future. Together with Volkswagen, we are working to ensure that our software makes vehicles safe and reliable on one hand and allows the convenient use of innovative services from the cloud on the other hand," said Alexander Kocher, President EB. The market share of electric cars in Norway is about 15 percent, higher than in any other country. It is even higher for Volkswagen vehicles. The transformation of Volkswagen Group Components towards e-mobility continues to gather pace. 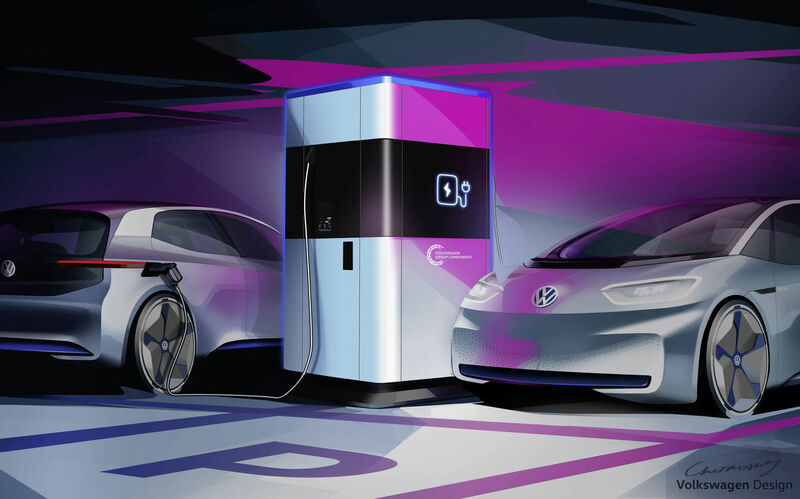 Today, the new brand within the Volkswagen Group announced its decision to start series production of the flexible fast charging station from 2020 onwards. This station, based on the principle of a powerbank, can charge up to 4 vehicles at the same time and also be used for the interim storage of eco-power. The station is to be produced at the Hanover components plant, where heat exchanger production, forming part of the engine business area, will be replaced step-by-step by the new e-mobility business area. From 2020 onwards, flexible charging station production will gradually replace heat exchanger production, forming part of the engine and foundry business area. The transition to e-mobility will allow the plant to accomplish the urgently needed transformation and will contribute to safeguarding employment and sustainably strengthening the financial situation of the Hanover components plant. In addition, the changeover will ensure that optimum use is made of the skills of employees at the plant. For example, a heat exchanger developer will be able to deploy his know-how in future for the development of battery cooling systems or the optimization of thermal management. Developers and planners have already been involved in piloting the concept for the flexible fast charging station since 2018. The pilot project is to start in the summer of 2019 together with the city of Wolfsburg. From 2020, production of the first fast charging stations will start at the Hanover plant. At the same time, cooperation is to be discussed with possible partners. 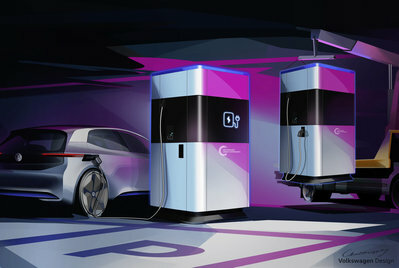 Forecasts indicate that considerable demand for flexible fast charging stations is to be expected in connection with the ramp-up of e-mobility over the next few years. In technical terms, the charging station is based on the battery package of the Volkswagen Group’s Modular Electric Toolkit (MEB) and is designed to use its cell modules. Later, the charging station will provide a second life for batteries from electric vehicles. A battery loses charging capacity over time. When a vehicle battery has reached a defined, reduced residual capacity, it will be replaced. If this battery subsequently passes a thorough analysis, it can be reused in a mobile charging station. The consistent transformation of the product portfolio towards e-mobility is a key element in the strategy of Group Components. The company is focusing intensively on new activities such as the flexible fast charging station and is investing massively in mobility. The production of the charging station will mean that a fourth German components plant will be producing components for e-mobility. The Brunswick plant develops and produces battery systems for the Group’s electric vehicles. The Center of Excellence for battery cells is located at Salzgitter, where it will be joined by, rotor and stator production for electric motors from mid-2019. The Kassel plant produces electric motors for the full-electric vehicle generation. At Hanover, Group Components will be focusing on charging infrastructure from 2020 onwards. The 2018 Geneva International Motor Show: Satisfied exhibitors, delighted visitors - negative claims repudiated!